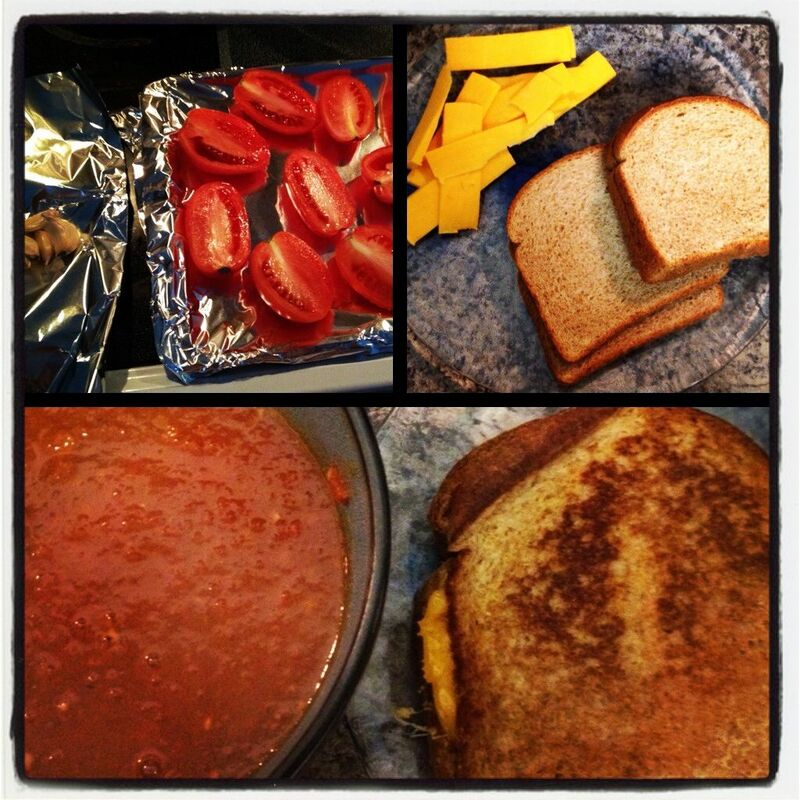 Skinny Jeans & a Chai Latte: Veggie living :: Tomato soup and grilled cheese. 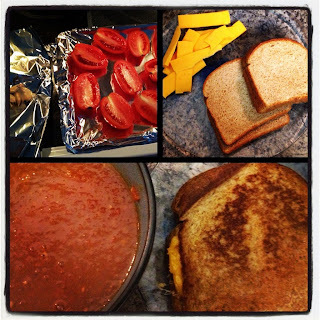 I posted a picture to Instagram recently of one of my favorite meals, tomato soup and grilled cheese. 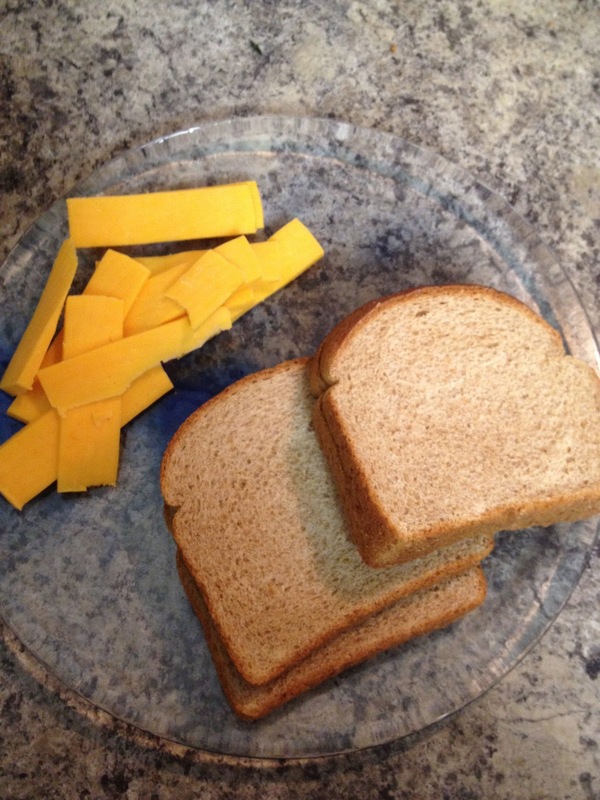 Claire requested the recipe so I figured I’d make a post out of it. I’ve found that homemade tomato soup is one of the easiest things ever to make! My recipe is basically inspired by this soup which I initially found from Cup of Jo and pinned to Pinterest but the original recipe is from Smitten Kitchen. Here are the basics for the easiest tomato soup ever. 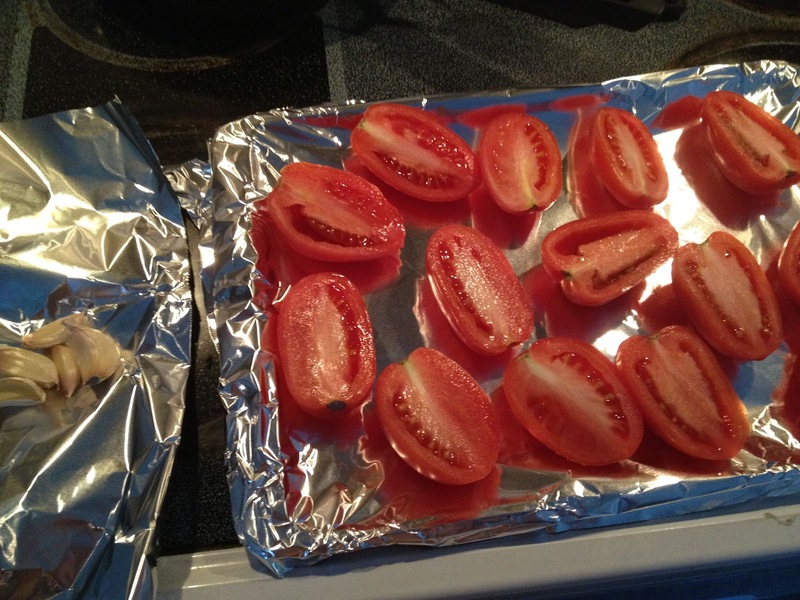 Roast until tomatoes are brown and tender, about an hour. Cool slightly. Unwrap garlic packet and peel garlic. Transfer garlic cloves, tomatoes, and any juices to food processor. Pulse until tomatoes are a chunky puree (I pulse mine until pretty smooth because I don’t like tomato “chunks”). Cook uncovered for about 25 minutes until thickened. 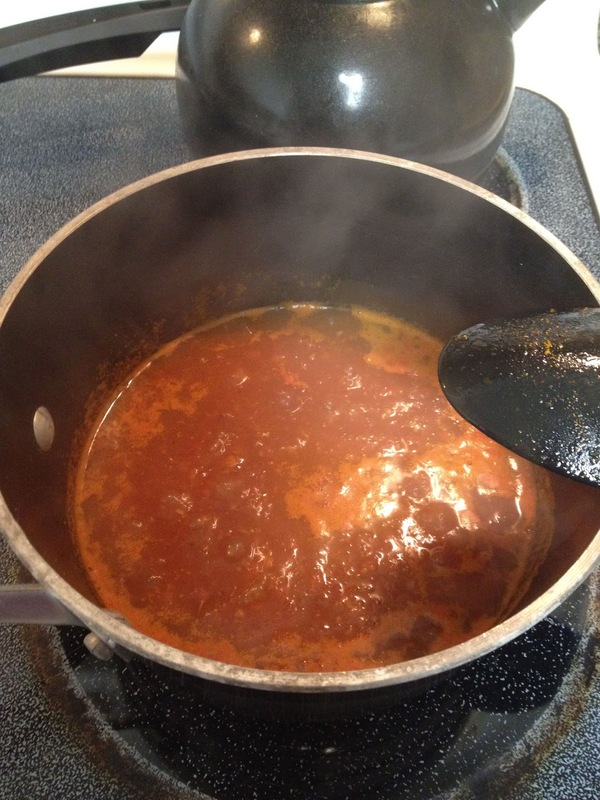 I don’t find that I have to make any adjustments to spices when it’s done, but taste and make to your liking. I do find it to be pretty spicy which D and I enjoy. Cut back on the red pepper if you don’t like spiciness. Finish off the meal with a couple grilled cheeses and you’re golden! Yay, I'm so excited you posted the recipe! I'm bookmarking this so that I can make it ASAP. Tomatoes aren't excellent here yet, but I'll try to hunt some good looking ones down so I can get busy on this soup. I eat the roasted tomato & red pepper soup from Trader Joe's all the time (the only pre-made soup I will eat, haha), but I know that a homemade version would be even better! 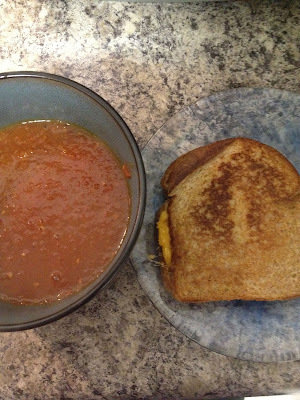 And there's nothing like grilled cheese with tomato soup. Most comforting food in the world. Thanks for the instructions!! I love this combo! It's something I crave! Yummm!!! oh yummmmy, and this is by far one of my top 3 favorite meals. perfection!!! i've been searching the inter webs for a tomato soup lately! can't wait to make it... it's ACTUALLY feeling like winter here in SoCal.